Heeft u een vraag voor Nest Homestay? Goed gelegen in Fort Kochi, is het Nest Homestay het ideale vertrekpunt voor uw excursies in Kochi. Op slechts 0.1 km gelegen vanaf het stadscentrum en 45 km van het vliegveld, trekt dit 1-sterren hotel jaarlijks vele reizigers. Dankzij de praktische locatie liggen alle belangrijke trekpleisters in de buurt van het hotel. 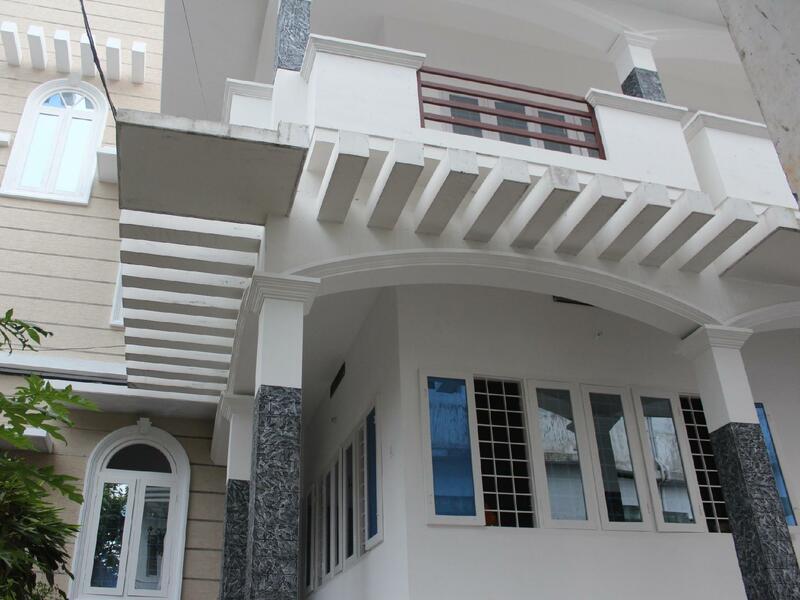 Het Nest Homestay biedt tevens vele faciliteiten om uw verblijf in Kochi zo aangenaam mogelijk te maken. Terwijl u verblijft in deze geweldige accommodatie, geniet u van faciliteiten als 24-uur roomservice, gratis wi-fi in alle kamers, wi-fi in openbare ruimtes, parkeerplaats, vervoer van/naar luchthaven. Gasten kunnen kiezen uit 5 kamers, stuk voor stuk plezierig en comfortabel ingericht. Daarnaast garanderen de talrijke recreatieve mogelijkheden dat u zich tijdens uw verblijf kunt vermaken in het hotel. Het Nest Homestay is een slimme keuze voor mensen die reizen naar Kochi: een ontspannen verblijf is gegarandeerd. Anoop's mother cooked breakfast for us, and it was great! A very difficult place to find. One day without electricity, and it was only a blown fuse. No internet for 2 days. Extremely limited information. They run the place like to are doing the guest a favor. Limited breakfast before 9 am, but all excursions leave before so no breakfast. Limited English unless the owner is there, like on late evening. Disappointed. Really nice. Compare with other business hotels it is much better.Breakfast was good too. 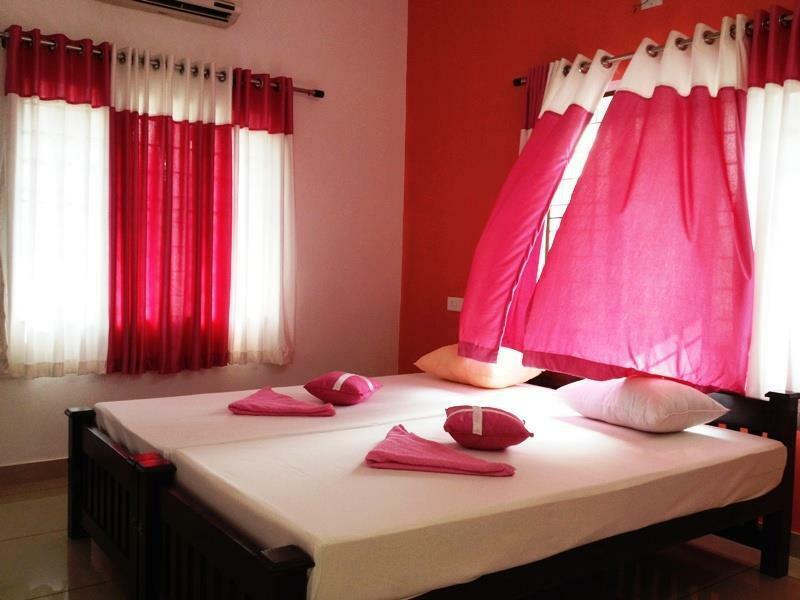 Very nice stay : clean and comfortable bedroom, with enough space to practice some yoga asanas, nice balcony, giant breakfast which turnt into a brunch since I could not eat lunch after that (fruits, eggs, bread and jam, spicy rice-based Kerala specialty), reliable wifi. The cleanliness of the apartment where we have breakfast could be improved (kitchen-wise) I asked for 3 reservations and got just one, but worth it : a full day and night in the backwaters, in a hidden part with only locals. Great suggestion ! the location is good and room is very clean. home stay owner is super friendly. We requested early check in and Nest was unable to accommodate our request but instead offered us early check in at their brother's home stay nearby - Prana Inn. We appreciated this as our train reached at 6 am and Prana Inn's rooms were clean, neat and well maintained. The hosts were friendly, food was good and we would come back again. This place is close to all fort Cochin has to offer. Lovely family to stay with and really knowledgeable about tourist information. Nice place to stay at the best price! Family is really kind and helped us for any request. A must in Fort Cochi! 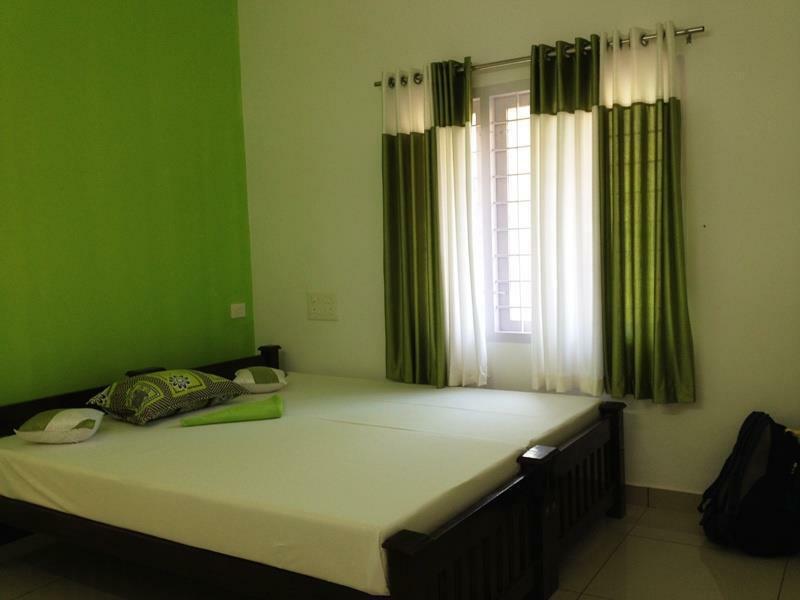 Very clean homestay in Fort Cochin area for budget travellers. The breakfast included was warmly prepared while chatting with the friendly owner. I would definitely choose again this homestay next time. We stayed there for three nights, they made a different breakfast every morning for us, we had fruit, toast, eggs and some other typical indian dishes, all of them really tasty!! :) The room is very basic but clean, bathroom ok but there's no hot water.. The people are very nice and they helped us a lot! Overall recommended! Reaju and her family are very accomodating and took care of us. Rooms are basic but clean and new. Could not have asked for more for a homestay. Location is good also.